Officer Carter started his Law Enforcement career with the Winston-Salem Police Department in 2012. After serving 4 years as a Patrol Officer, he joined the Winston-Salem Police Department's Traffic Enforcement Unit as a full time Motorcycle Officer in 2016. Officer Carter started riding motorcycles as a Motor Officer with Winston-Salem Police in 2016, riding a Yamaha FJR1300. 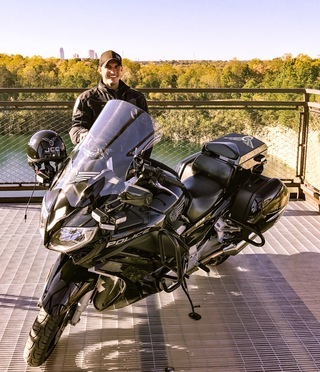 He has attended 40 hours of Basic Police Motorcycle training hosted by Guilford Technical Community College, and an 80 hour Basic Police Motorcycle Training course hosted by the North Carolina Highway Patrol.